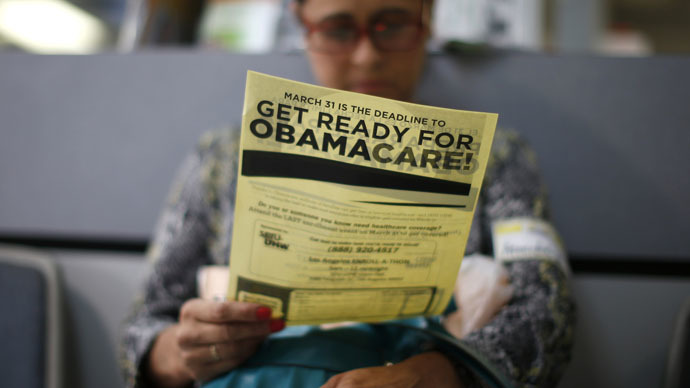 Four years after the introduction of the Affordable Care Act, the number of uninsured Americans fell by 11 million, according to reports from the Centers for Disease Control and Prevention (CDC). The CDC reports looked at the first nine months of 2014 and found the number of Americans without health insurance was roughly 37.2 million – down from 48.6 million in 2010. Although 11.9 percent of the population still lacks coverage, this is the lowest percentage in more than 15 years. One report found that, during the nine months analyzed, about 27 million people had been without coverage for more than a year. Some 6.8 million people were covered through the Affordable Care Act (ACA) during July-September 2014, the Associated Press reported. The most dramatic increases were seen when the health insurance marketplace first went into effect on October 1, 2013 and the number of uninsured individuals fell by 7.6 million. The CDC numbers come from a National Health Interview Survey conducted with 85,224 people between January and September 2014. People were asked three questions: whether they were uninsured at the time of the interview, whether they were uninsured at least part of the year, and whether they were uninsured for more than a year at the time of the interview. The CDC figures are lower than those quoted earlier this month by the federal Department of Health and Human Services (HHS), which found that 16.4 million Americans had gained healthcare coverage. However, HHS looked at a longer period of time in their estimate – between October 2013 and the first quarter of 2015. The overall decline in uninsured Americans comes from government-run marketplaces that sell health insurance, the loosening of Medicaid eligibility requirements in more than half the country, and allowing young adults to stay on their parents’ health plans until they turn 26. Twenty-eight states and Washington, DC have expanded their Medicaid programs. Another 22 states have kept their stricter restrictions on Medicaid eligibility. The goal of Obamacare was to reduce the number of uninsured Americans and the latest figures suggest growing progress towards the goal, but this achievement could be threatened by a lawsuit being heard by the US Supreme Court. The suit, King v. Burwell, centers on whether federal subsidies in 34 states that have not set up their own health insurance markets (“exchanges”) are legal under the law. The plaintiffs argue a particular section of the law refers only to “exchanges established by the state” when mentioning eligibility for subsidies – meaning it explicitly excludes marketplaces established by the federal government. The government is arguing that the phrasing may be unfortunate, but that the entire law clearly intends that the federal tax credits apply to people using the federally established exchange, not just the state ones. If the Supreme Court rules against the government, it would mean the end of federal subsidies to more than seven million Americans in 37 states. This, in turn, would disrupt the fragile framework of the law that orders Americans to purchase insurance or face tax penalties, while forbidding the insurers to turn anyone away. Insurance companies, Democratic lawmakers and liberal activists argue this would effectively destroy the ACA.